Hayley Budge from Orkney recently won a jewellery design competition and wanted to use the opportunity to raise funds to help people with MS. Her Tulip necklace design has inspired a full jewellery collection from Ortak which is on sale now with 20% going to the MS Trust. Here is Hayley's story. “Drag out your crayons!!!! 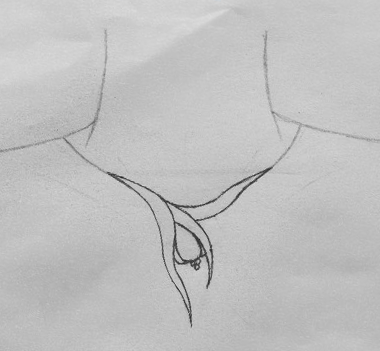 Now is your chance to design your own unique piece of jewellery..." This is where the Tulip necklace began. Orkney jeweller, Ortak, was holding a competition. All I had to do now was try to draw something that people would like, have it shortlisted into the top three designs, get the most public votes and hope it could be made into a lovely piece of jewellery. I’m astonished to say that all of this did actually happen. A few days after receiving the necklace they made for me I began to think… Would it not be awesome if this could be made to sell for a multiple sclerosis charity? One day I turned up at the Ortak Jewellery workshop and proposed the idea. Luckily, they agreed. With the Orkney Islands having the highest prevalence of MS in the world, we all know somebody who has been diagnosed with MS. I am sad to say that I only learned about the disease after being diagnosed myself when I was 21 years old. I had been feeling various symptoms since the summer of 2011 but when the possibility of MS was mentioned I decided not to look it up until I knew for sure. So, on 10 February 2012 after my neurologist phoned out of the blue and gave me the diagnosis, I did what most folk would do these days: I simply typed “MS” into Google. The first search result was the Multiple Sclerosis Trust. The whole evening was spent lying in my bed reading EVERYTHING on their website. I felt shocked by what I was reading but also strangely relieved just to finally have a diagnosis. For the next year I tried to understand MS and the way it affected me, often returning to the MS Trust for information. When 2013 arrived though I wanted to be able to help other people diagnosed with MS somehow. With the support of countless amazingly selfless people, some that I knew and some that I didn’t, the fundraising began. A friend and I signed up for the Iceland Trek in 2014, then in 2015 I joined a bunch of other likeminded people to cycle from Vietnam to Cambodia (paying all of these trip costs myself). To fundraise over this period we gathered sponsorship, held events and asked celebrities to lend a hand too. In total we have raised around £17,000 for the MS Trust. 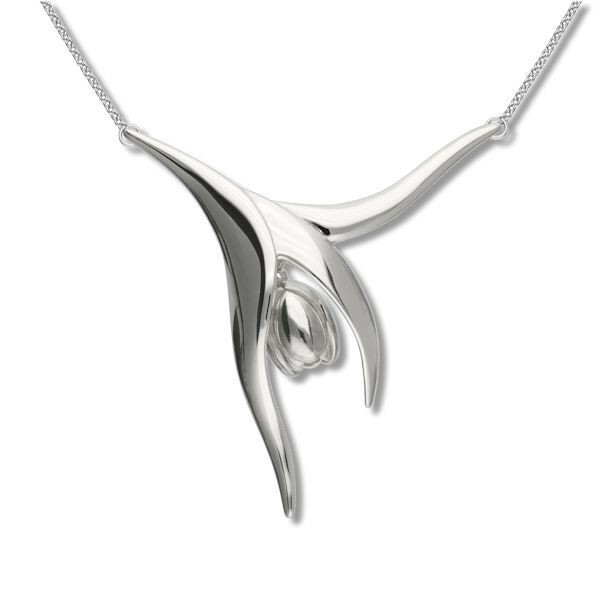 The Ortak Tulip necklace (pictured right) is the next fundraising venture. After Mike from Ortak agreed to make the necklace with 20% of all sales going to the MS Trust I turned up once again at the workshop, but with a box of caramel doughrings this time, and asked them very nicely if they could possibly remake the necklace more like what I had imagined. The staff were open to my caramel doughring coercion and that led to the beautiful Tulips collection you see today. I would like to say a ginormous thank you to the MS Trust for helping me understand all things multiple sclerosis related and of course Ortak for making wonderful jewellery.